Whether it’s your first adventure out on the kayak or canoe or you’re a seasoned pro, it’s always important to be aware of basic water safety guidelines. Knowing how to safely navigate the waters and care for your equipment is important for your first adventure, but it’s also a good idea to freshened up on the information even if you’ve been enjoying this type of activity for years. Here, Ranger Mac will list some of the most important safety practices when it comes to kayaking and canoeing, so you can be ready for your next trip out on the water! This is a good rule to follow no matter how much experience you have navigating waters in your kayak or canoe. Always make sure you check your local weather forecast for the day you want to hit the waters. Plan in advance for the weather and make sure you stay up-to-date on the changing weather predictions. You can always check the local weather with your television station or radio, but it’s even more convenient to look online. Skip the ad-riddled websites and go directly to the source with weather.gov. Once you’re out on the water, always have a plan for getting back to land safely and quickly if you notice the winds changing, the water getting dicey, or dark clouds rolling in. Even if you’ve been doing this for years, it’s always a good idea to have a checklist to go over before you head out onto the water. It will help you double check everything and make sure you don’t overlook any necessities. Your pre-departure checklist should include any safety precautions for the boat itself along with important gear and can help you be prepared for anything that might happen while you’re out on the water. Names and contact information for all other passengers on board. Boat type and registration number. Type of communication and signal equipment used on your boat, if applicable. It’s tempting to get lazy about using a lifejacket once you become familiar with boating, but it’s always very important to wear one on every trip. Beginners and veterans alike also need to ensure that they’re wearing their life preservers correctly. Wearing one incorrectly could do more harm than good. Follow the instructions closely and seek help from an expert if you have any concerns. Make sure everyone in the group is also properly wearing their lifejackets before heading out onto the water. Whenever boating on a small vessel, it’s important that everyone in the group knows how to swim. If your canoe or kayak should capsize, everyone needs to be able to safely make it back to the boat or to shore. If you or someone who wants to go out on the water with you doesn't at least know some swimming basics, check with your local pool or American Red Cross to seek out some swimming lessons to be prepared for the worst. Taking a class on your boating style of choice is great for people who are new to kayaking or canoeing, but also shouldn’t be overlooked by those who have been doing it for a while. A basic boating course will help you gain all the skills and knowledge you need to safely enjoy the open waters on your kayak or canoe. It can also help build your confidence and prepare you for any circumstances that may come up. Check your state regulations for boating, as some states require you to take a beginner’s course before you hit the water. Even if your state does not require this, it’s a good idea to go ahead and take one, so you’re educated on the basics. If you’ve already been boating for a while, it can be good to take a refresher safety course or even venture into higher-level classes for a new challenge. The Coast Guard will perform a safety check on your vessel for free. They will make sure that it’s within the safety guidelines set by state and federal law. A specialist will look over your vessel and make some boating safety recommendations specific to you and your watercraft. If you’re not close to a U.S. Coast Guard office, they do offer virtual online safety checks as well. 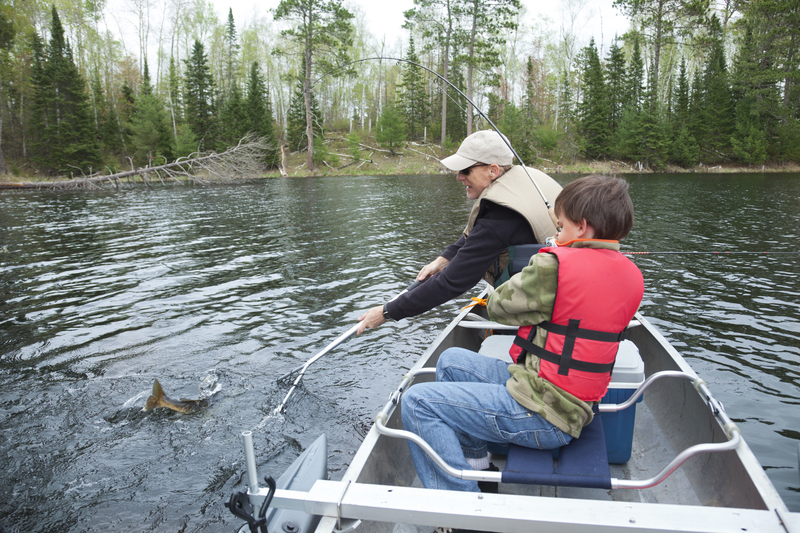 First-timers and seasoned pros alike need to be prepared and follow all safety precautions as they hit the water. No matter your experience level, you need to be aware of and up-to-date on water safety measures. Once you learn the basics, create and go through your checklist, and have your canoe or kayak checked over, it’s time to get out on that water and enjoy the adventure! If you want more outdoor safety tips, check out Ranger Mac's blog about staying safe while hiking in the desert!